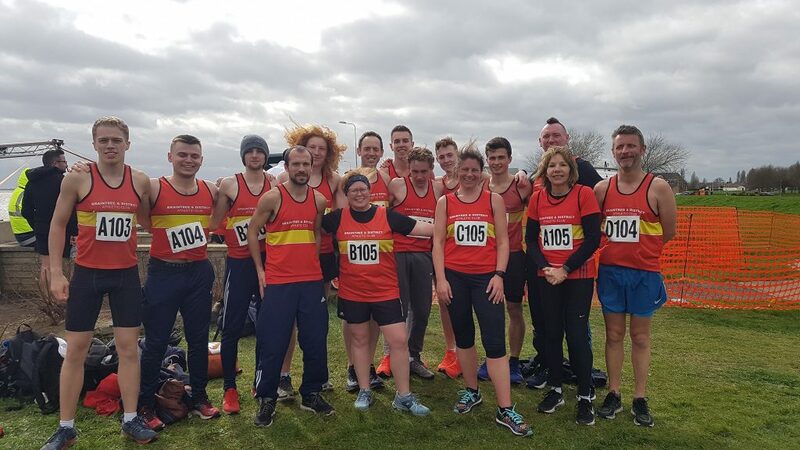 Braintree & District Athletic Club provides a wide range of Athletics Training and Competition for both new and experienced athletes in the Braintree Area. This includes track, field (jumping and throwing), multi event, road running, trail running and cross country. New to Running and 18 or over? Read about our “New to Running” group here. Also find details of our easy-going 5k/10k road running group on the Training page. AAA Standards. The club subscribes to the AAA Standards Scheme. You can find details of the scheme and a list of our athletes who have qualified here. Results of the Braintree 5 Road Race can be found here. Details of the remaining Essex Championship events are on our Activities / Track & Field page. Entries close soon! Any membership renewals still outstanding after 1st April leave the athlete unable to compete and uninsured at track due to expiry of their EA affiliation. See here. Club Fun Day 30th March results can be found from our Activities / Track & Field page or here. Pictures from our Awards Night are now on our Gallery page. Track & Field league match entry forms and timetables are now on our Activities / Track & Field page. General Data Protection Regulation: See Membership Privacy Notice here. Equipment problem means no hammer or discus training until further notice. All of our news can be found on our Facebook and Twitter feeds. See links at the bottom of this page.